Ok, your child’s birthday is in a week. Presents bought and wrapped? Check. Cake planned and ingredients purchased? Um, not so much. The challenge isn’t merely the fact that children are infamously picky eaters. The real challenges are that your children and half of their party guests cannot tolerate gluten or nuts or dairy etc, and that you’ll have limited time to bake the perfect cake. Sound about right? The fact is you’re not alone. This is the world we live in today. It seems we’re all discovering food allergies we never knew about and taking steps to live healthier lives. Yet we’re also crazy-busy and don’t have the time needed to fulfill our envisioned lifestyle makeover (such as take off a day of work to bake my son a glorious, scrumptious cake he’ll never forget, gluten-free or not). The good news is the world is adjusting. Every day, there are more and more options to accommodate the growing number of gluten-free eaters (not to mention nut-free, dairy-free, sugar-free…). And, after years of unpleasant practice, some of these options actually taste good. Seriously. You want—no, you need—the convenience of “baking from a box,” but you don’t want to give up good taste. And why should you? This is America. If we can put a man on the moon, surely we can create a tasty gluten-free cake mix! Right? One small step for man…one giant step for cake! I’m happy to report that you’ve found a winner: The Really Great Food Company. The name says it all. We offer 4 varieties of gluten free cake mix, and all of them are, well, really great. We usually opt to make the Golden Cake Mix on the big day as it is a great base for many different varieties of cake. But we also offer Devils Food Cake, Yellow Cake and Chocolate Cake mixes. As I said, children tend to be exceptionally discerning, so one or 2 of these flavors is likely to please the lot of them. Hopefully we can help just a little bit in planning your child’s next birthday. 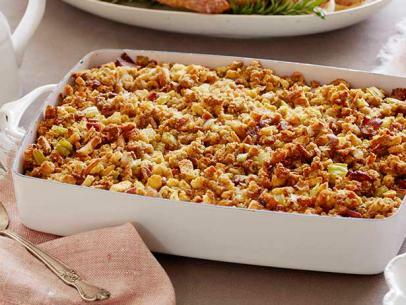 Thanksgiving is right around the corner and you will definitely have stuffing on your table. Unfortunately, if anyone has celiac disease or is gluten intolerant, they will not be able to enjoy the dish with everyone else. Have no fear because we are going to give you an amazing gluten free cornbread stuffing recipe using our gluten free cornbread mix. The mix uses dried herbs, fresh veggies and of course our gluten free cornbread muffin mix. Gluten free cake mix is a must have in the kitchen for people who have celiac disease or an intolerance to gluten or wheat. For people, especially parents, who don’t have time to bake, a gluten free cake mix out of the box is a great and simple alternative. Gluten free baking from scratch is much more time consuming and labor intensive so if you aren’t a baker, your best bet is to go with a boxed gluten free cake mix since it only requires a couple of simple ingredients and a couple of steps. 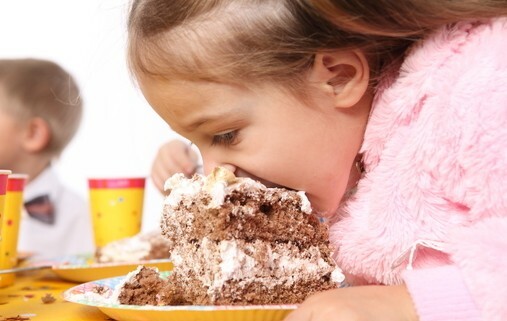 Many kids(and even many adults) who get diagnosed with celiac disease, gluten or wheat sensitivity or any other food allergy really miss the simple joy of being able to enjoy a cupcake, a birthday cake, brownie, banana bread or any other baked good. Usually the gluten and allergy free options don’t taste very good or are dry and brittle. The Really Great Food Company’s gluten free cake mix is a great alternative for people with celiac disease or gluten intolerance. Every one of our mixes is super easy to prepare and tastes AMAZING! Every product in our line is moist and decadent with no aftertaste of your typical gluten free cake mix. You will not be able to tell the difference between our product and a ‘normal’ cake mix. Our mix is manufactured in a dedicated gluten free & nut free facility. This is very important as we will never have an issue with cross-contamination with any of our allergy free products. The Really Great Food Company’s entire line is also Kosher and Top 8 allergen free for people who cannot have dairy, eggs, casein, tree nuts, soy or yeast. Remember to always see a doctor to get tested for celiac disease before starting any gluten free diet. A common question asked by many people with celiac disease or gluten sensitivities is “What is Spelt Flour?”. The first thing you should know is that spelt does indeed contain gluten and should not be eaten by anyone who is gluten-sensitive or has celiac disease. That being said, the presence of gluten does not make spelt wheat. Spelt is an ancient grain which has been cultivated for centuries. It has recently become popular because, although it does contain gluten, it is a good alternative for wheat and people who cannot tolerate wheat. For a few years now, the United States Government has required foods be labeled to indicate if they contain any of the top 8 food allergens. As part of the implementation of this law, the FDA has declared that spelt is wheat and that spelt must be labeled as wheat. Although spelt and wheat are indeed closely related, they are two different species. As you can probably guess, spelt flour is ground from the spelt grain. Spelt has a mildly sweet and nutty flavor that adds character to breads and other baked goods. Its texture is softer and lighter than whole wheat. Spelt is low in gluten which may be the reason why many people who suffer allergic reactions after eating wheat do not react to spelt. It is also possible that spelt is easier to digest due to the protein in spelt being more soluble than wheat. 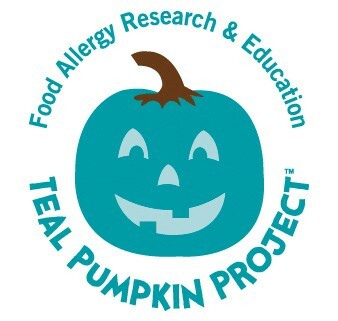 Consult your doctor about your own food allergy test results and follow the diet recommended for you. https://reallygreatfood.com/wp-content/uploads/2015/11/speltflourff.jpg 559 838 admin https://reallygreatfood.com/wp-content/uploads/2015/10/Really-Great-Food-Logo-21.png admin2015-11-06 11:39:142015-11-16 13:30:18What is Spelt Flour?